The Motor Accidents Guidelines which apply to motor accidents in New South Wales after 1 December 2017 under the Motor Accidents Injuries Act 2017 have been updated. The Motor Accidents Guidelines are available on the SIRA website. The new Guidelines apply from 15 January 2019. Links and applicable commentary references in the By Lawyers Motor Vehicle Accidents (NSW) guide have been updated accordingly. 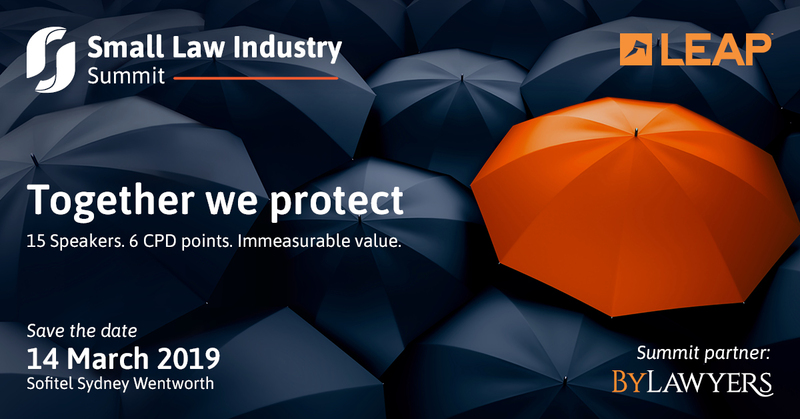 Make 2019 a year to optimise your firm’s performance by attending the inaugural Small Law Industry Summit hosted by LEAP on 14 March 2019. 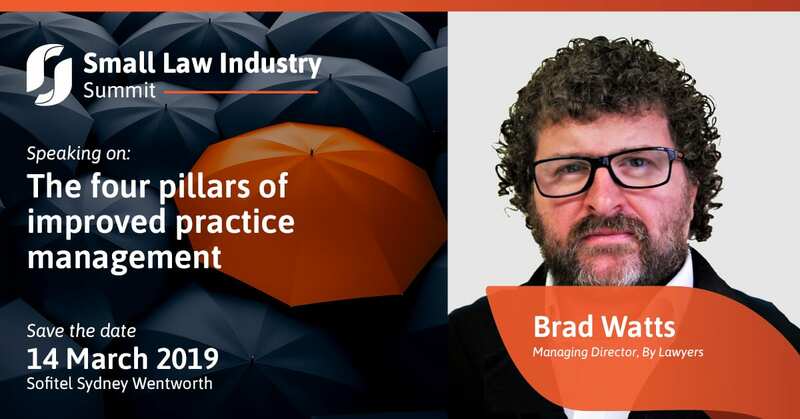 By Lawyers are proud event partners of the Small Law Industry Summit and our Managing Director Brad Watts will be presenting on the use of legal practice management techniques to ensure growth. 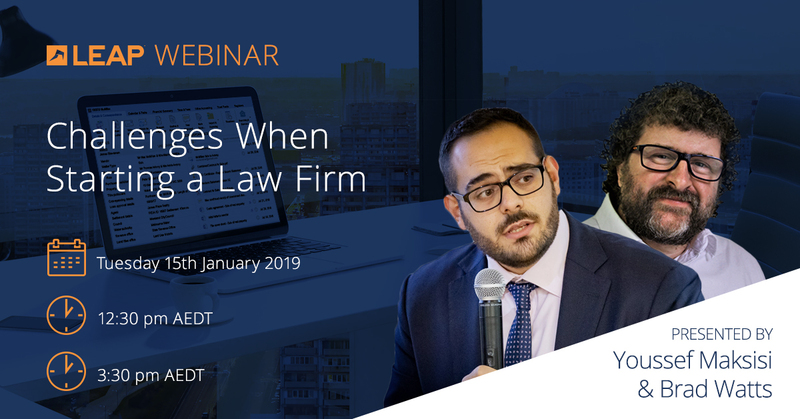 Since 2007, By Lawyers has been dedicated to helping lawyers enjoy practice more and our Managing Director Brad Watts has over 20 years experience in legal practice and has built several successful firms from the ground up. Increasing profit: The lifeblood of the small law industry. See the full Summit Agenda here.